Women in Horror Annual 2 is out to buy…. Available as an e book on http://www.amazon.co.uk ( it will be available as print on demand later). The annual features 13 short stories and one essay. The editor Rachel Katz describes my story, ‘Mother Love’ as ‘…gothic… moody and atmospheric…’ 🙂 Thank you to Rachel for including my story, making some excellent editorial suggestions and supporting me. Interesting? I thought so. I have written and had published a flash piece starring zombies, but set against the backdrop of Halloween at a paint balling park. My upcoming- still in progress – ghost story collection includes vampiric ghost children, a demon, a haunted hospital, and a resurrected Reverend who dabbled in black magic. Why do I like writing in this genre so much? I have always enjoyed as a child time slip, ghost stories like ‘The Amazing Mr Blunden’ (book and film) and it’s not too many steps away from there towards adult ghost stories and what I call ‘quiet, implied horror’ not graphic gore or violence. and the title is The Cold Uncertainty of Love or Real Love in a Cold Climate . Martin’s fiction and mine is also in the 1st anthology from Otley writers ‘The Pulse of Everything’ and will be in the next one, ‘The Darkening Season’. 100,000 Poets for Change project Mark will be co-editing a chap book as part of the 100,000 Poets for Change project, with poet, Tony Martin Woods. The chap book will be published in January 2018. The audio recordings are great and beautifully read by editor Carol Cooke and I am proud to be part of this project. My next set of 4 creative writing workshops starts next week at the Craft House in Saltaire and I have been talking to Bingley artist and gallery owner Jane Fielder about running a one off workshop at her beautiful gallery in January 2018- more info plus dates to follow. 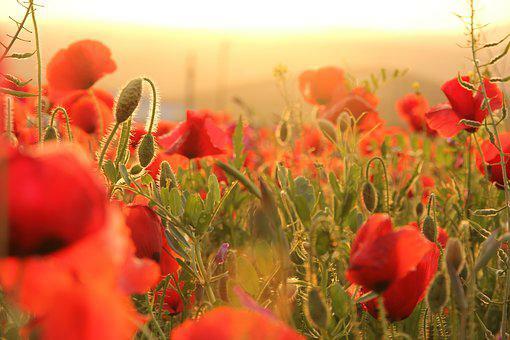 Teaching, women in WW1, singing and horror drabbles…. I finished my 4th and final workshop in Farsley this week- it has gone really well and the group have really settled in and got chatting to each other plus are coming up with some great pieces. I am adding on 2 extra workshops there on 9 November (Writing short stories) and 16 November (one to one’s on editing and rewriting). I’ve also met up with some writing friends this week like actress/performer/writer Irene Lofthouse in the Pavillion in City Park Bradford with another good friend Gillian W. Irene’s latest show was ‘Women, Words and World War one’ which she performed successfully at the Ilkley Lit Fest. Irene is a powerhouse of energy and creativity and a joy to spend time with. She will be running some creative writing workshops in January 2018 at Undercliffe Cemetery – a fabulously Gothic venue. I am definitely going and will post more info about this on my blog. Pic of Irene below in character for a performance. The current exhibition at Impressions Gallery is called ‘No Man’s Land’ – Women’s Viewpoints on the First World War. This exhibition and accompanying gorgeous book interconnects with Irene’s latest show, as it investigates several key women who took photos (some in very early colour) during the war; they were there in their roles as nurses, ambulance drivers, and peace campaigners. At last in 2017 women’s pioneering and ground breaking roles during this horrific ‘war to end all wars’- as it was dubbed- are being recognised. Come the end of the week I was singing in Ben Rhydding – African chants to Moon River, all taught in the accessible and harmonising format of Natural Voice. In 2 weeks time I am doing a singing residential at Parcevall Hall. See photo below. Looks fab. I’ve also managed to squeeze in writing a 600 word short story specifically for the free Suburban magazine which is distributed around the Menston, Guiseley, Horsforth area. Each month a member of Writers on the Wharfe writes a story for the back page. My piece is called ‘Crow Girl’. 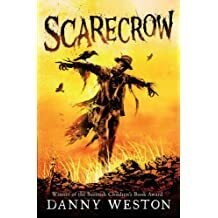 I also sent off a pair of new horror drabbles aka 100 worders to the lovely Horror Tree blog- Scarecrow and Troll Hunting, both have been accepted. I do enjoy encapsulating a tiny horror tale in a paragraph and Horror Tree have been hugely supportive and encouraging of my writing, offering editorial advice and will soon have published near enough 10 of my pieces. Editor Joanna Sterling at The Casket of Fictional Delights has accepted a 300 worder (should I call that a triple drabble?) for publication – ‘Dominoes’ – not a horror tale but a piece about a father and daughter. From Net Galley– an amazing way to get free books pre publication- if you have a device to download them onto- I’ve just read Gothic horror (spot the pattern here folks!) 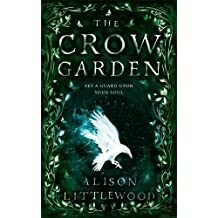 Alison Littlewood’s The Crow Garden and I’m currently reading YA author Danny Weston’s Scarecrow, his 4th chiller thriller for teens. In exchange for a review the free books keep a coming. If only I could source a free supply of chocolate! Performing at Ilkley Literature Festival Event and other news….. Along with a dozen or so fellow writers from Writers on the Wharfe I took to the floor at All Saints Church House in Ilkley to perform live and unedited (!) my piece of flash fiction ‘Zombie Hunting’. The audience were very supportive and laughed (in the right places and gave me a warm round of applause). It was a lovely evening and there was an interesting mix of song, poetry and prose read out by the group’s members. A great bunch of talent. 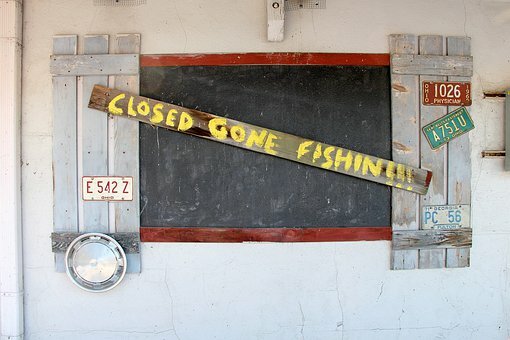 I’ve had a couple of acceptances for my fiction this week- Horror Tree will be publishing another of my 100 worders ‘Tea Party’, and South Tyneside Talking Newspapers for the blind and partially sighted (a registered charity) have accepted one of my short stories, ‘Gone Fishing’, in their bimonthly short story slot, to audio record in 2018 and I will receive a copy of the recording. I was so pleased to have this acceptance from them. I think this is a wonderful way for fiction to be made available and I am proud that one of my stories will be recorded. It’s not a horror story by the way – but a feel good father/daughter tale. 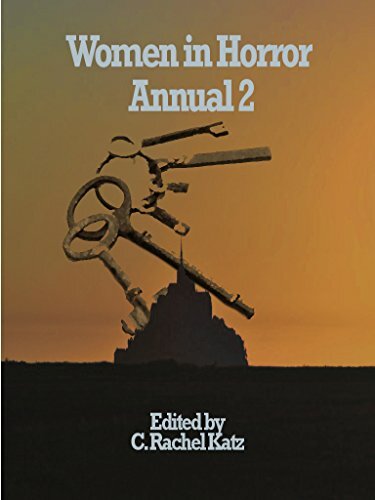 I have heard from Women in Horror editor Rachel Katz – that the WinH annual is on its way and an e book is due out soon. 🙂 My short story ‘Mother Love’ is included. Below is a sneak peek at the cover. I am excited about this collection and looking forward to reading it. Photos of me at Morley Indie Book Fair on Saturday 7 October…. More classes in creative writing taught by me in Saltaire running this autumn…. This is another set of 4 workshops for beginners and intermediates who would like to find their fictional voice whether that’s poetry, or prose. We do exercises, brainstorm, and look at ways of finding and pinning down your story. The first set of 4 workshops went really fast and were such good fun. Lovely supportive atmosphere. There is a stand alone Christmas themed story or poetry writing workshop planned for Wednesday 13 December 10-1pm. This could make an alternative and quirky gift for your nearest and dearest to receive and read over the Christmas holidays. The creative writing classes at Farsley in the gorgeous Sunny Bank Mills Gallery are winding up next Thursday ( though there may be a drop in session or 2 to follow on). They have been a joy to tutor. A full table of 8 plus me, against the backdrop of paintings and craft work on display plus let’s not forget the all important home made cakes. Vital writing fuel. Some members of the class are talking about meeting up after the workshops end, which is a fantastic sign of how well the group have blended and how much they have enjoyed sharing their work. There is such a range of fictional voices developing among these 8- some real talent too. I particularly love her delicately sketched playful mice and her fairytale doorway, discovered during the recent renovation of Leeds Art Gallery. There are plans to run more classes at the gallery in (possibly) February 2018– which I hope will have the same excellent take up. Tomorrow I am at Morley Town Hall with my A2 Promo boards for ‘The Runaway Umbrella‘ and ‘Badlands’ plus order forms for the latter as sadly I do not as yet have the books from the publisher. There will be 25 indie authors there and I am delighted to be in their company. Lots to do, workshops, readings and a raffle. Halloween themed creative writing workshop- run by me- in Saltaire…. COME ALONG TO TELL THEIR TALE. Join our creative writing tutor Alyson Faye for a spooky Saturday morning, exploring the wonderful art of fiction writing, only this time with a Halloween theme! Alyson will lead this fully interactive and stimulating session, sharing ideas and resources with you and helping you to craft a wonderful piece of creative writing around the theme of ghosts, ghouls and Halloween. Full details of this wonderful new workshop will be released shortly but we anticipate places will fill up quickly, so please register your interest now to join us for this spooktacular session! Cost is £35 per person which includes expert tuition, materials and equipment. For an additional £5 fee, Alyson is also happy to review and make editorial suggestions to your work following the session and discuss ways in which it might be submitted for publishing. Complimentary tea, coffee and biscuits provided.